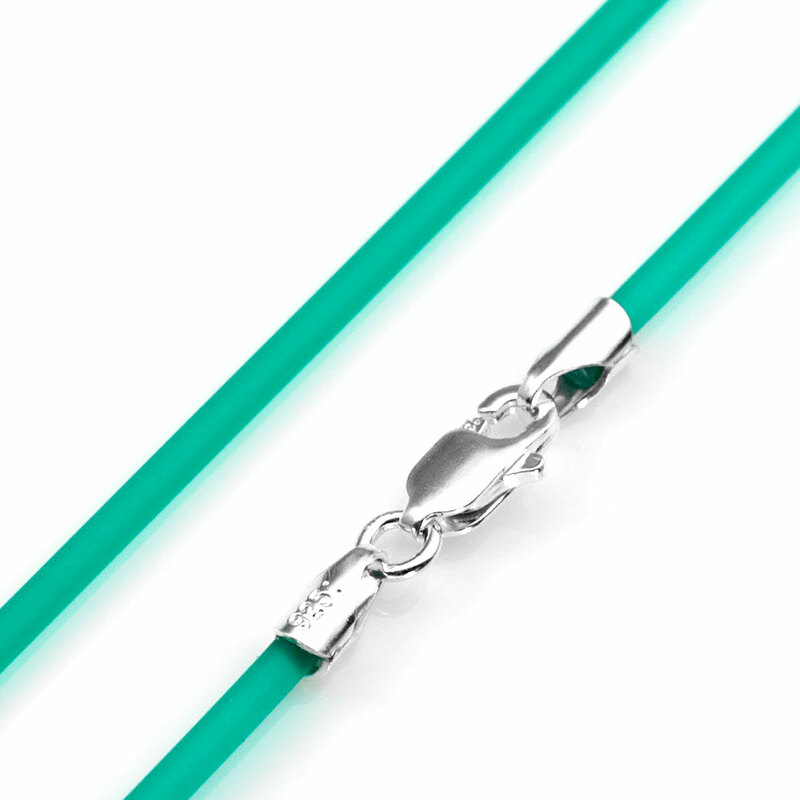 This emerald green rubber cord neck chain works well with many of our pendants. Especially the sterling dog tags, round pendants and heart pendants. Does not contain latex. A great color for Christmas!